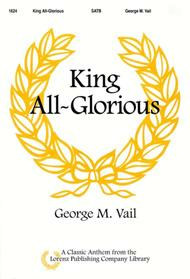 King All-Glorious composed by George M Vail. For SATB choir. Sacred Anthem. Octavo. Published by Lorenz Publishing Company (LO.1624).